An exceptional student has thanked Nelson and Colne College staff for their “determined support” after taking home the gong for a prestigious national award. 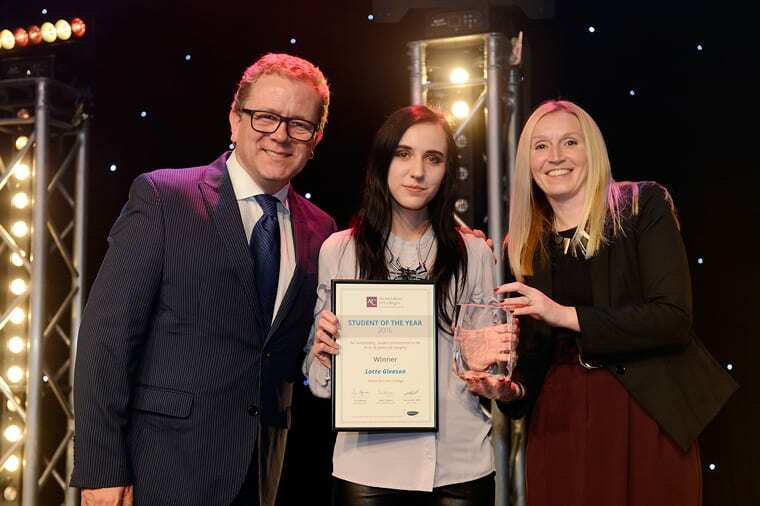 Lotte Gleeson, 19, was left over the moon after beating tough competition across the country to be named winner of the coveted 16-18 category of the Association of College’s Student of the Year Awards. The former Colne Park High School student, who gained A*A*A*A in her Maths, Further Maths, Chemistry and Physics A Levels, impressed judges with her spirit and motivation, having overcome a personal battle with mental health. Lotte, who is now reading Physics at the University of Oxford, said: “I felt really shocked when I found out I was the winner of the 16-18 category, but now that it has sunk in I feel very proud of myself and how far I’ve come. The award tops off a stellar year for Lotte, who not only gained her dream place at the University of Oxford, but also won the Achievement in Academia Award at the Burnley and Pendle Youth Achievement Awards and was named as an AoC “Future Star” after NCC alumnus and scientist John Spencer picked up an esteemed Gold Award – an accolade celebrating the success of further education alumni. Following her most recent achievement, Lotte will enjoy a Winners’ Reception at the House of Commons in December. To get to University, Lotte taught herself most of the A2 Physics syllabus in her first College year, with 1:1 support from NCC staff. As well as thriving academically, Lotte also made the most of additional enrichment opportunities available to her, and secured her own volunteering work, to stand her in good stead for her future. She now hopes to secure a job in Physics research and development. This year, Nelson and Colne College celebrated a 99.9% A Level pass rate, with more than half of exam entries achieving an outstanding A* to B grade. As well as Lotte heading to Oxford, the College also saw students progressing to other top Universities across the country, including the University of Cambridge, the University of Manchester, and Newcastle University. For more information about studying at Nelson and Colne College visit www.nelson.ac.uk or contact 01282 440272.